While this establishes the existence of the building its exact location is imprecise although it can be presumed to have stood beside one of the two roads bordering Horace Walpole's estate. Apart from this, its name offers historical context which invites speculation about its origins. 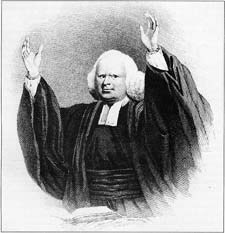 The noted preacher, George Whitefield (pronounced Whitfield) was born in Gloucester the youngest of 7 children of an innkeeper. His father died when he was two years old, his mother made an unsatisfactory second marriage and George had to work as a pot boy in the inn to help out. Later, via Pembroke College, Oxford, he entered the church, being ordained deacon in 1736. He had met Charles Wesley in 1733 and this brought him into contact with his brother John. In 1738 he followed the Wesley brothers to Georgia, America. Together, Whitefield and John Wesley became co-founders of the Methodist movement. However, unlike John, Whitefield leaned towards Calvinism and so they later went separate ways. In 1748, following his return from a second visit to America, Whitefield formed a close association with Selina Hastings (n�e Shirley) Countess of Huntingdon (1707-91), who appointed him her personal chaplain. This enhanced his social status, particularly in his own eyes, when he began preaching at her London house. The Countess had first embraced Methodism in 1739, meeting the Wesley brothers in 1741. However, in 1744 she became attracted by Whitefield's Calvinistic view of predestination, and opened her London house to him and other preachers. 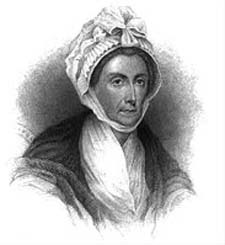 Her long association with him led to the formation of the sect known as The Countess of Huntingdon's Connexion, in 1783. During the period she sponsored the building of over 60 chapels around the country, the first in Brighton in 1761 and in Bath in 1765. The chapel in Bath now houses the Building of Bath Museum. 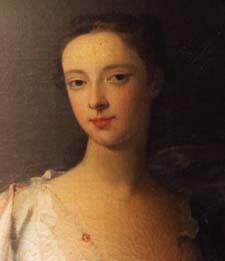 The Countess was a daughter of Washington Shirley, 2nd Earl Ferrers. In 1714 Sir Robert Shirley, 1st Earl Ferrers had established his second family at Heath Lane Lodge in Twickenham. He died in 1717, leaving his widow and 10 children by this marriage. She remained there for 45 years until her own death in 1762. All the Shirley eproperties including Heath Lane Lodge were entailed, but she bequeathed her personal estate, including some land in Twickenham, to her unmarried daughter, Lady Frances (Fanny) Shirley (1707-78). Lady Frances had become closely associated with her niece, Selina Shirley, Countess of Huntingdon, who is recorded as having visited Twickenham frequently; Washington Shirley leased a property on the riverside at Richmond between 1722 and 1727. By 1739 Lady Frances had embraced Methodism, opening her own house in London for the preaching of the gospel when Lady Huntingdon was out of town. All this came to the attention of Horace Walpole, who may have attended out of curiosity, and he gave an intermittent running commentary on Whitefield and Lady Frances over the following 25 years. Writing first to Horace Mann, in Florence, on 3 May 1749 he noted: “if you ever think of returning to England…you must prepare yourself for Methodism….this sect increases as fast as almost ever any religious nonsense did. 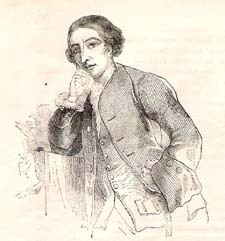 Lady Fanny Shirley has chosen this way of bestowing the dregs of her beauty upon Jesus Christ.” Mann must have answered, because Walpole wrote again, on 14 July: “You ask me about the principles of the Methodists. I have tried to learn them and have read one of their books. The visible part seems to be nothing but stricter practice than that of our church, clothed in the old exploded cant of mystical devotion.” Walpole acquired a volume of Whitefield's sermons, published in 1739 (1427 in Hazen's catalogue of his library). All cry that madness dictates either's flights. All think good sense inspires what either teaches. Should two be crazy, two be in the right? Thinks the two madmen what they teach, believe. There can be no doubt that, although the correspondence was private, Walpole talked with his friends, so making his views public. No record of Mr Whitefield's chapel has yet been found in the documented history of Twickenham. The description given in the trial suggests that it stood on the edge of what was still open Common land in the South Field, at the western side of Waldegrave Road, usually then described as The King's Highway, opposite Horace Walpole's estate at Strawberry Hill. A less probable site would have been in the water meadows beside the river along Strawberry Vale. As to the ownership of the land on which the building stood, present research does not yet shed any light. Countess Ferrers owned copyhold land here in the South Field and, in 1753, she transferred this to Lady Frances. Court Books of the Manor of Isleworth Syon (ACC 1379, vol 44) record transfers on 25 April 1753 of four pieces of copyhold land in the South Field described as “an acre beyond the Mill” (apparently, from other references, a windmill), 2 acres in Shadwell Shot, 1 acre in Fernhill and 1 rood in Wolpol. However, on 20 October 1757 she sold these lands on to Walpole. On 9 April 1760 Walpole sold the 2 acres in Shadwell Shot to Robert Baker, but the exact location of this land cannot be verified. There remains the possibility that Lady Frances possessed enfranchised land, but it is not known if there was such land in this immediate area at the time. In 1775 she took a lease on a house in the London Road in Twickenham, dividing her time between there and Bath for the remaining three years of her life. After she died, support for the Twickenham venture must have declined; the congregation with it. Whitefield had himself died in 1770. Her will, made in 1773, bequeathed cash of over £10,000 to family and friends. Lady Huntingdon received £1,000 and “all the rest and residue that I die possessed of, of what kind or nature” except her silver and plate which was also distributed among a number of relatives and friends. There was no bequest to the chapel in Twickenham.The “rest and residue” may have have included freehold, though not copyhold land in the manor: her death was not proclaimed at the Court as a copyholder. Lady Frances was taken, by her wish, to be buried at the Countess's chapel in Bath, £50 left to the trustees of its new burial ground. Built by 1767 it had either fallen out of use or gone by 1797 when Edward Ironside's History and Antiquities of Twickenham was published. Ironside wrote that there were “no Dissenting or other meeting houses or any popish chapel in the parish, and but very few of its inhabitants (were) of either persuasion.” In fact, the first Wesleyan Methodist chapel in Twickenham was opened in 1800 in Holly Road, supporting a milder persuasion than that of Whitefield. For Whitfield's cant shuns Stanhope's wit. Selling the land which she had acquired from her mother may have enabled Lady Frances to pay for a small building: a simple tabernacle perhaps surrounded by the open land on which Whitefield was accustomed to preaching. She was a strong supporter of Whitefield and the chapel, took his name. Both were mocked by Walpole and, if aware of this she might have had the chapel erected near his house as a gentle riposte to the criticism from his barbed pen over many years.